Irish Coastguard Records in the early 19th Century & Public Record Office, Kew. The Public Record Office at Kew, London, England, holds a treasure trove of records on the establishment and maintenance of the Coastguard Service in Ireland, England, Scotland and Wales. I have recently returned from a reconnaissance trip to see what records on the early and middle 19th century might be available. I was searching for evidence of a George Stuart, who served with the coastguard during that period. The first information on George Stuart’s involvement with the Coastguard had surfaced on his daughter Margaret’s marriage certificate from Clifden, County Galway on 7th October, 1871. Subsequently, his death certificate just two years later on 18th January, 1873 revealed he was a Coastguard Pensioner of 86 years. From this his date of birth was around 1787. A search for coastguard records was going to have to concentrate on the first half of the 19th century. 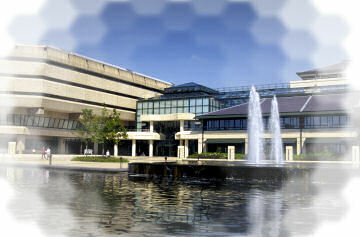 Many internet searches and a trip to the Irish National Library and Archives showed the records were held at Kew. A trip to England was the next step. The fact that George was listed as a Coastguard Pensioner led me to look for Pension Records. I believed this might reveal considerable information on George Stuart and his family. Pension Records are held on accessible microfilm under Cust 39/161 and Cust 39/162. The records are very extensive and list not just coastguard pensioners but also widows in receipt of a pension also. The records are organised on a county by county basis. The existing pensioners are listed first and followed by a section for widows. I ran into some problems as the original documents had been compacted in storage very tightly or had received water damage. The bottom of the pages were extremely difficult if not impossible to read. Kew did advise that as a last resort access to the originals under ultraviolet light is an option but only when all other avenues are exhausted. It was at this point I spoke to a specialist on Coastguard Records, James (didn’t get his surname), who coincidently is preparing work for those researching relatives who served in the Coastguard Service! James pointed me to another source: Registers of Admiralty nominations of Officers and Ratings to the Coastguard in Ireland, 1820-1849. The records can be accessed on microfilm under ADM 175/74. The records can be photocopied on A4 or A3 size. ADM 175/74 is the ‘Holy Grail’ for those seeking records for Irish Coastguard personnel in the first half of the 19th century. The document, in typical British Civil Service fashion, is highly organised and legible. The document begins with Inspecting Officers for the various Coastal Counties. What follows is a list of every Coastguard Station on the Irish Coast for the Period along with some which were decommissioned. There are a series of Principal Ports, Subordinate Stations and Detachments. The Register begins with South County Dublin and proceeds on to Wicklow, Wexford and so on around south, west and north until you come back to north County Dublin. As regards the search for George Stuart, I was going to have to look at the entire register for the Country of Ireland. Being a Pensioner in Clifden did not mean he served there. I searched Dublin to Clare and there was no sign but when I came to County Galway the radar began to report. George Stuart, spelled Stewart in the records, was stationed in Bayleek, Clifden. The records indicated there had been a Station at Mannin Bay but it was decommissioned in favour of Bayleek. George Stuart arrived in Bayleek, Clifden on 18th May, 1849. He was previously stationed at Killeries (Head of Killary Harbour? – beautiful painting of it by W.H. Bartlett, c.1841). His rank was Chief Boatsman. He was discharged on 31st December, 1860 at 73 years of age. It was from this first reference that I was able to follow George Stuart’s service in the Coastguard. Killeries was Subordinate Station to Clifden. George arrived there on 29th April, 1847 from Comd. Bt. Kilcummin, County Mayo. 1847, or Black ’47 was a terrible time to be in this area. It was the middle of the Famine. If you travel the surrounding area today, the ghostly ‘lazy beds’ or potato ridges dug by the unfortunates who perished still haunt the hillsides and valleys. George was only in Killeries for two years. George Stuart served 3 years at Kilcummin, County Mayo. He arrived there on 13th January 1844 having served previously at Lacken, County Mayo. Lacken had a small detatchment attached to the Station at Kilcummin which was in turn subordinate to Ballina. Sligo had previously been the Commanding Port but the development of Ballina as a port and town of significance meant control of the Mayo Stations passed there. It was here my search for George Stuart came to a halt for the moment. There are no records for the detachment at Lacken. It is likely this detachment was a ship or boat and that the records lie elsewhere. The Register for Ireland dates from the 1830’s to the 1860’s. It lists all personnel who came and went from every Irish Coastguard Station. List of names includes Officers like D’Alton, Stokes, Goslin, Irwin, Bryce and McFall and Ratings like Higgins, Farley, Mulligan, Donovan, Ellis, Murphy, Sweeney, Tyrrell and Groves. Most of the Rating’s names are Irish. The numbers of Coastguard personnel run to hundreds. It demonstrates how important an employer the Coastguard was and also in receiving a pension the men and their families were not left destitute in old age. My first trip to Kew has been an eventful one. I have extended my knowledge of George Stuart by 26 years at a time when records on the period are scarce. Unfortunately, there are no photographs of the man. Perhaps that’s just as well as the picture of my Great Great Great Grandfather in my own mind is perhaps a better one. Many thanks to Dominic Price for this Article. I wonder if the Goslin you refer to in your second last paragraph could be Thomas Gaskin qho married Coastguard Thomas Connolly's daughter, Margaret, in Renvyle in 1870? Do you have anynotes or scan of the source of the names you mention please? Looks like your family and mine worked the same area. Looking for service record of my Great Grandfaters service in Mayo and Galway. If it is Martin Cavanagh, married to Bridget Hynes, is the son of the above Martin. When did Bunaw/Kilmackillogue coastguard station close and any idea how much it was sold for. It was bought by my second great grandfather and was converted into a pub it is still being run as a pub. Looking for records on my great grandfather Patrick Fahey (or Fouhy) who was a coastguard in eastferry (1911) and later in Ballycotton co.cork.